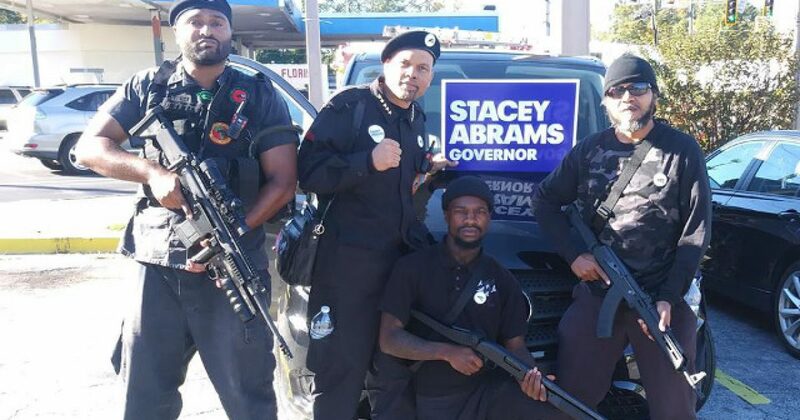 Folks in Atlanta, Georgia had a bit of a strange, slightly scary sight over the weekend as men apparently belonging to the Black Panther Party marched in support of far-left Democratic gubernatorial nominee Stacey Abrams. Now, of course, a march on its own is nothing that would instill fear, right? Well, the thing is, this group of individuals was marching with rifles, and given the history of the Black Panther Party, that is definitely cause for a bit of concern. “The picture was posted on the group’s Facebook page and the caption says they’re ‘not working with any campaign –but rallying against voter suppression,'” CBS 46 reported. The irony here is that these guys are marching around with semi-automatic rifles, weapons which Abrams herself wants to see banned. She also supports having guns confiscated from the American people, despite the fact such an activity is clearly against the Second Amendment. Now, it’s important to note that there have been conservative groups that have also marched with weapons like this in the past, which isn’t something that should probably be encouraged. Marching with rifles looks very aggressive, even if there’s absolutely no ill intent. Appearances are important in discerning intentions, and when the Black Panther Party, or any group for that matter, marches with rifles, it might not be sending the right message.